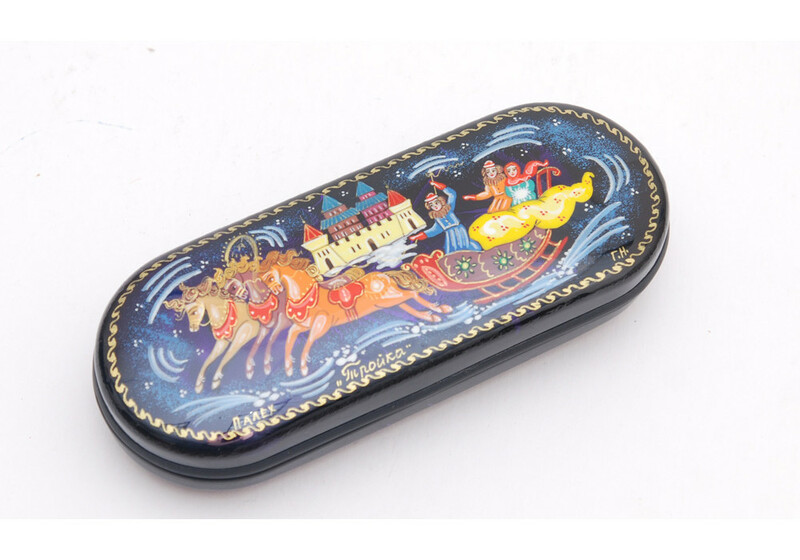 Glasses case with a troika, three horses, a case for glasses made of a thin sheet of metal and hand-painted with oil paints. This case is covered with a double layer of a protective varnish. 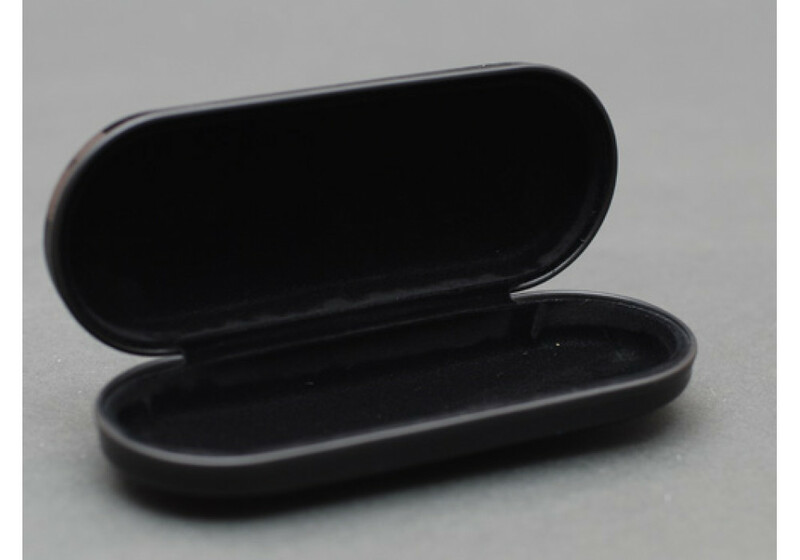 Case for glasses inside is decorated with black velvet paper. Case records closing with a magnet. This case is a very unique combination of beauty, strength, elegance and conveniency. It is an original and beautiful handmade gift for the women, men, girls and collectors. 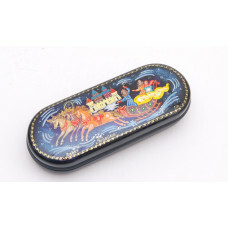 Dimensions: length is 16 cm., width is 6 cm., height is 3 cm.